In March 2013 the U.S. spent a staggering $463 million for 2 million new smallpox doses in defense of a potential bioterrorist attack. This new drug, Arestyvr, made by New York-based Siga Technologies, is an antiviral pill that treats infected victims after the smallpox vaccine is too late to be administered. The purchase of Arestyvr was wasteful spending for two reasons: smallpox is an improbable bioterrorism agent and Arestyvr’s worth is questionable. 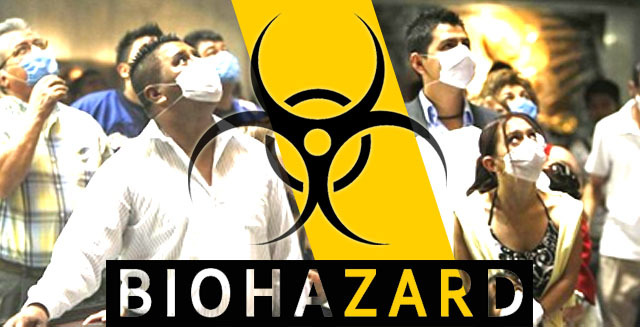 The Centers for Disease Control lists three categories of biological threats, A, B, and C, from greatest to least threat to public health; Smallpox is a category A biological threat. The general U.S. concern is that terrorists could re-engineer the virus in a lab or that the virus remains in other unknown locations and could harm the U.S. by spraying it among masses of people. Though the U.S. military admits it is unknown if Al Qaeda possesses the smallpox virus, in 2002 it found Al Qaeda biological warfare laboratories in Afghanistan during the initial phase of the Global War on Terror. Most recently, in 2009, at an Al Qaeda training camp in Algeria, 40 terrorists died from the bubonic plague, which experts think was from a group developing biological weapons. Since 2001, the U.S. has raised its smallpox vaccine stockpile from 15 million to 300 million. While the threat of a bioterrorist attack might be real, the probability of a bioterrorist attack involving the use of smallpox is low. The last case of smallpox was in Britain in 1978. Since 1979, the WHO has officially declared smallpox eradicated. Samples of the virus remain in two locations: the U.S. Centers for Disease Control and Prevention in Atlanta and the State Research Center of Virology and Biotechnology in Novosibirsk, Siberia. There are concerns that the virus could leak from one of the labs or that terrorists could break into the facilities to steal the samples, but this is unlikely. The smallpox samples are kept under the highest containment measures. Scientists who work with the virus use fingerprint or retinal scans to get inside, wear a full-body suit including gloves and goggles, and shower with strong disinfectant before leaving the lab and removing the suit. The last bioterrorist attack was from anthrax, twelve years ago, which had limited results. If terrorists acquire smallpox samples, they face two hurdles in weaponizing it: isolating a lethal strain and dispersion. Dr. Amy Smithson, currently chair of the Global Affairs Council on Nuclear, Biological, and Chemical Weapons for the World Economic Forum, outlines these challenges. When isolating a lethal strain, slight mistakes in production via growth media, temperature, or other control parameters, can end in failure. Spraying devices generally will not produce a small, sufficient particle size to lodge in people’s lungs. In 1993, Aum Shinryko, a well-funded Japanese terrorist cult that attracted graduate students and skilled scientists to its ranks, failed in its attempt to spray anthrax from atop of an eight-story building due to clogging problems; no one died. “Thus, despite the cult’s investment of considerable money and time and the participation of graduate-level scientists in the effort, Aum’s efforts to isolate, produce, and spread biological agents were, from start to finish, a serial of flops,” Smithson concludes. Compared to the vaccine, Arestyvr’s value is questionable. Since Arestyvr haPreviews never been tested on humans, the effectiveness is unknown. Even if Arestyvr is effective, it only has a shelf life of 38 months, while the vaccine lasts for decades. Since smallpox has a long incubation period, the vaccine, even if it is administered three days after exposure, could still prevent the onset of the disease. Additionally, the smallpox vaccine costs the U.S. government $3 per person, while this new drug costs $250 per person, 83 times more.